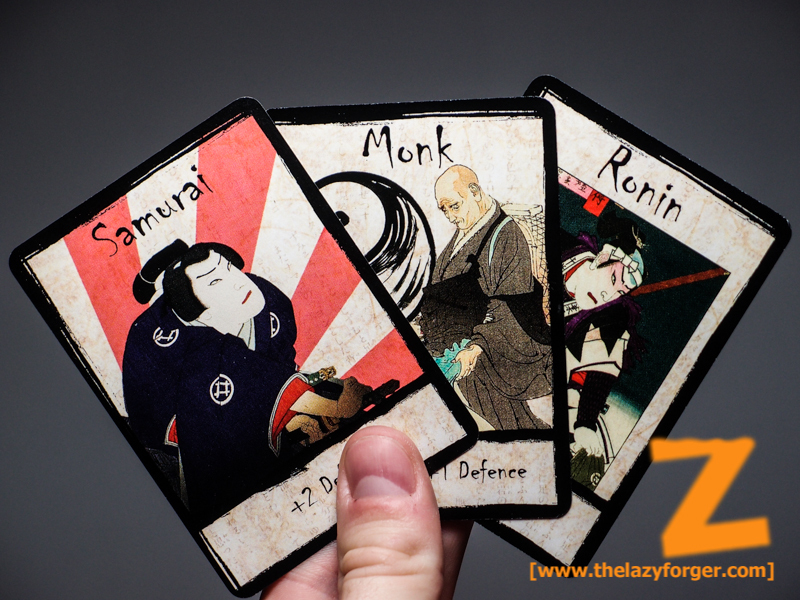 Zanshin is a simulative duelling game. 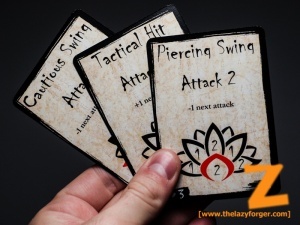 The strategy of the players will be brought to the most basic level moving carefully the sword in their swings and thrusts, to balance their attacks with a safe defense. 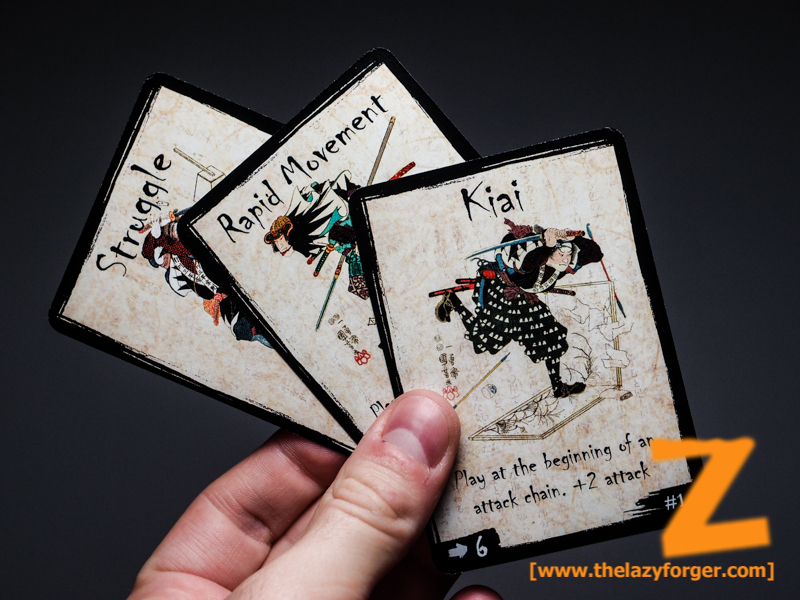 Each movement will change their stance, thus their optimal defense direction and attack advantages. All is flavoured with dirty tricks and lucky dodges, which for some characters are the backbone of their style. Speaking of characters, each of them have an individual set of unique cards that define the style entirely: since there are no identical cards in the game, you’ll learn to know your opponent style the first time you face it, and you’ll need not to forget it when you encounter again. 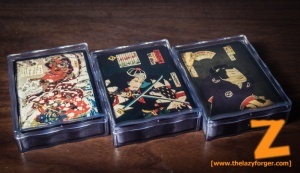 Each deck will feature powerful moves and weak ones, but the overall structure is meant to be balanced offering perks and flaws, prudent hits and rentless strikes. 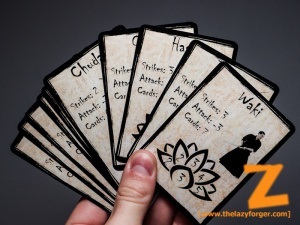 No more tables, characteristics, dice: the cards in each player’s hand will force him to choose his strategy for the turn and for the following ones, reducing the randomness of the dices and increasing the tactics behind. First of all, we have the characters. 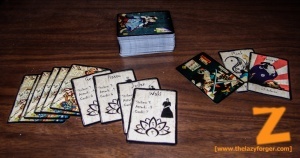 The first prototype showed statistics that are now obsolete, but new character cards will be used, indicating the wounds of each character and the special abilities. Last but definitely not least, the special abilities (or Forms): the illustrations come from 18th and 19th century ukyo-e, that have an awesome appeal and no copyright! 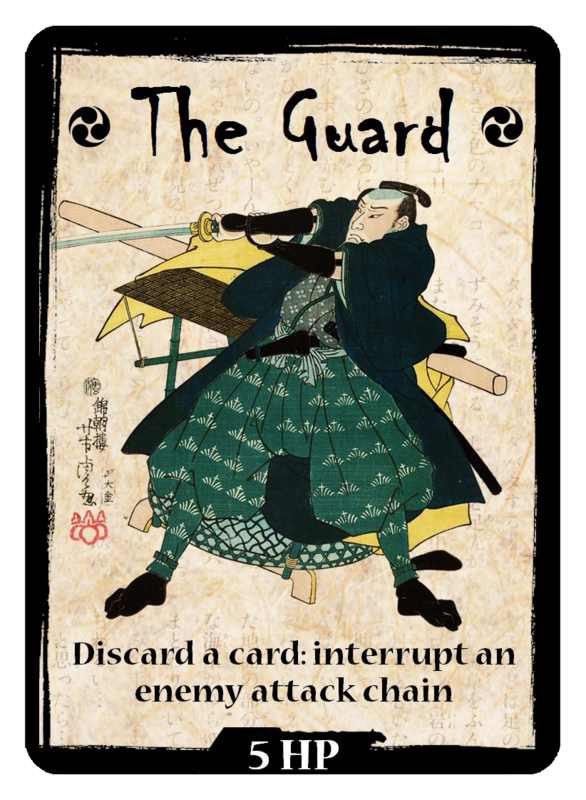 As you can imagine from this brief description, the gameplay tends to be peculiar and quite different from most of the other card games. Strategy is needed, and with little imagination it’s possible to recreate a duel with real swords fending the air, since the game follows simulative mechanics rather than emulative ones. 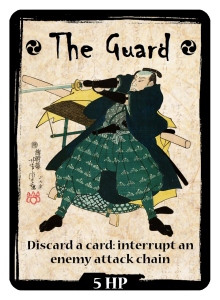 The japanese background is not strictly related to the game mechanics, and different characters could be extracted from medieval fencing, gladiators fights or swashbuclking tales. 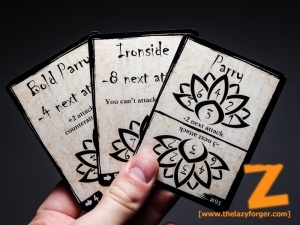 For now, i’ll leave you whith this brief description, hopefully it’ll be enough to tease you untill further news! If you are interested in beta testing (as soon as the new prototype will be available for testers at printing cost), please write me through my Facebook page, or via the The Lazy Games Facebook Page.